Vaughn & Sons Construction, Inc. is a Pella Certified Contractor. Call us for a free consultation on your home project: (775) 324-1935. 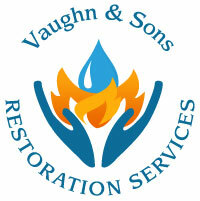 Vaughn and Sons Restoration Services is avaialable 24/7 for emergency services regarding water or fire damages of any kind. We are trained and certified by Institute of Inspection, Cleaning and Restoration Certification (IICRC). Call Vaughn and Sons Restoration Services for a free inspection: (775) 686-8648.